“Lider Con Apuros,” that was the headline boldly plastered across the back page of Madrid-based Sports daily, MARCA. Loosely translated as “Leader with Troubles,” it as an apt description of Real Madrid’s current plight. This is not quite the usual crisis talk few bad Los Merengues result bring. Madrid is atop La Liga Santander and unbeaten in 23 games dating from the latter parts of the 2015/2016 season. In fact, in this run Zidane equalled Pep Guardiola’s record of 16 straight league wins before the home draw against Villareal. So why the insinuation of trouble? If you have watched Madrid in every single game this season, you’d see the results are not telling all the stories. Ronaldo is struggling for form & is trying to force the issue. The midfield is really lacking balance as it is terrible without the ball. The defence is always almost without shape and riddled with individual errors. From all the issues the most important is that of the balance. Carlos Henrique Casemiro is the man that represents balance in that squad. Since La Decima was won and Xabi Alonso was sold, Madrid has suffered a top heavy squad; the effect was less visible in smaller games. However when they faced top Spanish teams or European powerhouses it showed. Zinedine Zidane then came along with the Rafael Benitez blueprint; planted Casemiro permanently in midfield and the Brazilian sat there, won them El Clasico and Undecima. Tragically, the enigmatic Brazilian has been side-lined since he came off in a win against Espanyol. In Casemiro’s absence, teams with a lick of quality usually overrun the midfield quite easily, mostly because Toni Kroos and Modric/Kovacic find themselves numerically outnumbered, out of position during transitions, and lack pace to cover the lack of defensive positioning. Zidane also has four square pegs he puts in the midfield trio; consisting two wingers and two pure no 10’s. (Vazquez, Asensio, James, Isco). Missing. Without the former Porto midfielder, Madrid’s midfield has often struggled. Casemiro when fit occupies the space between the offensive minded midfielders and the defence where advanced opposition playmakers like to wreak their havoc. He anticipates danger when Madrid have the ball, positioning himself to intercept when opponents break after stealing possession. The Sao Paulo youth product has also always had the required pace and energy to scamper across midfield to full back to cover for his marauding full backs, making crunch and excellent tackles alike. Sergio Ramos is the benchmark in terms of Los Blancos centre backs but Raphael Varane and Pepe have taken following his footsteps too far. Pepe steps out of the backline without reason and Varane just keeps pulling from his arsenal of individual errors. The goal scored by Merino Zuloa of Athletic club was a prime example of the Capital club’s defensive failings. 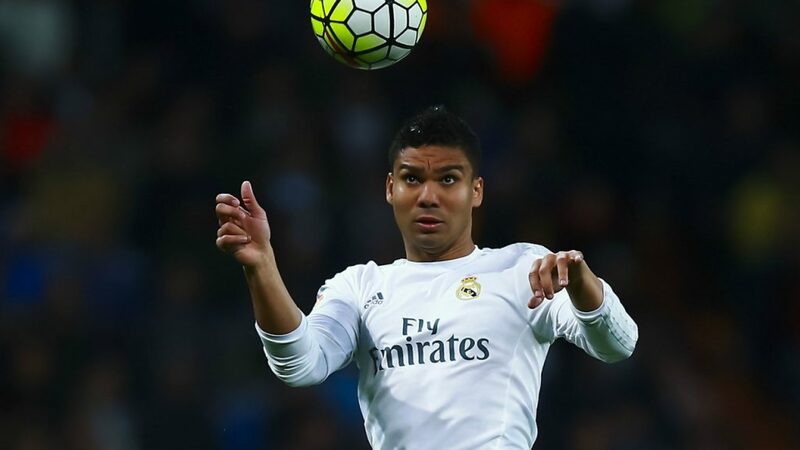 It had become apparent that Casemiro is a paper over such defensive cracks. He slots between centrebacks in unorthodox fashion when there is too big a gap between them and covers the far post when they are muddled up. Kroos has had to play in the deepest lying midfield position since the Casemiro’s injury. It has become even worse since Modric’s injury too. Are his efforts enough going forward in the season? The German is a brilliant deep lying playmaker. He can pick the ball up from the defenders and spray passes across the pitch and over the head of the opposition back line onto swift forward runs. German engine? 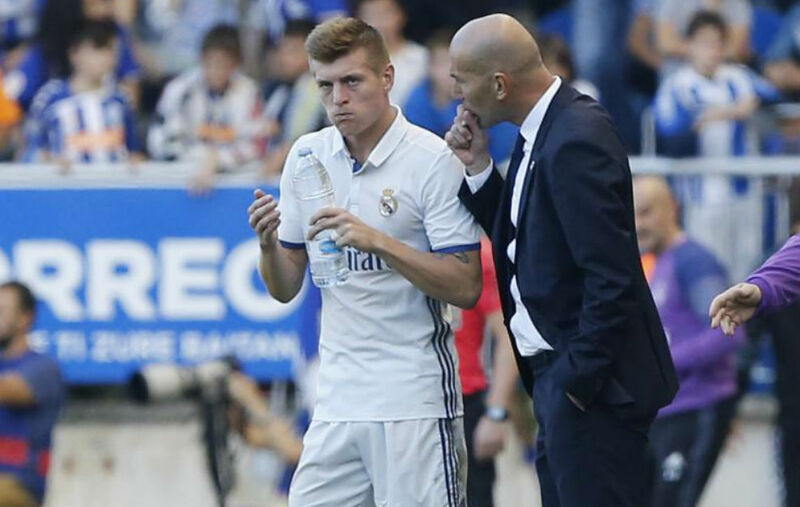 Since injuries to both Casemiro and Modric, Kroos has played every single minute of ever game for Madrid. This is all okay if the rest of the midfield had a ball winning midfielder who can complement those playmaking skills and make the system work properly. This reveals a Casemiro sized – and shaped – hole, one Madrid can hardly afford. Zidane and those responsible for identifying and making transfers at Real Madrid must be ruing their decision not to purchase another defensive minded midfielder. This is especially as they are banned for the next 2 transfer windows. As the man in the dugout for Madrid (and after his playing career with them) he knows all about engines and layers of gold paint on Bentleys. Asking Zizou to pull out another rabbit from his or Benitez’s hat might be somewhat difficult as he hasn’t proven to be tactically astute. The 11 time UCL winners need Casemiro sooner rather than later if they want to retain their Champions league trophy and win La Liga after half a decade. Next articlePSA: Will the Real Theo Walcott Please Stand Up?